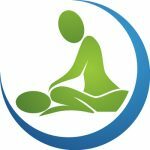 A Massage Therapist is an expert in skilled touch techniques to relax your mind and soothe aching muscles. Education levels and Experience requirements vary greatly from state to state. Many Massage Therapists have special certifications to work with specific populations such as those who are diagnosed with arthritis, diabetes, cancer, cardiovascular disease, and others. Some conditions require significant modifications to the typical Swedish Massage for client safety. Medical Fitness Network is here to provide information so you can select a Massage Therapist that’s right for you.